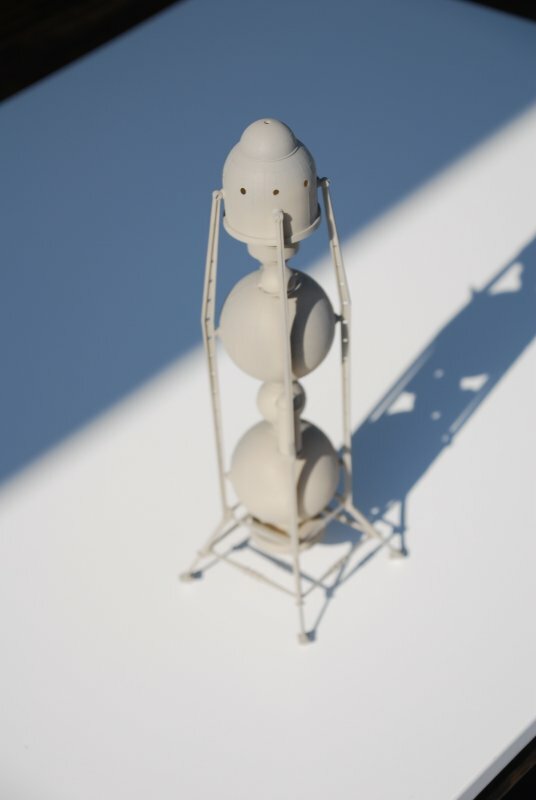 As I also have some space & scifi models around, its time to start with them as well. A very simple Academy 1:288 Space Shuttle consisting of about 10 parts or so. The biggest challange was to mix some colors for it. 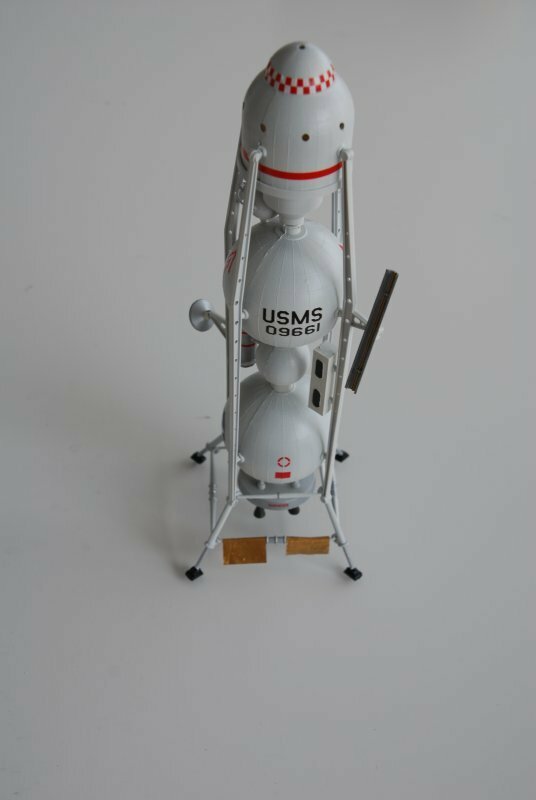 Hmmm....1/72 Shuttle tank....1/72 Eagle Transporter....Moon Mistel..... . An alternate reason for the Moon whizzing out of orbit. 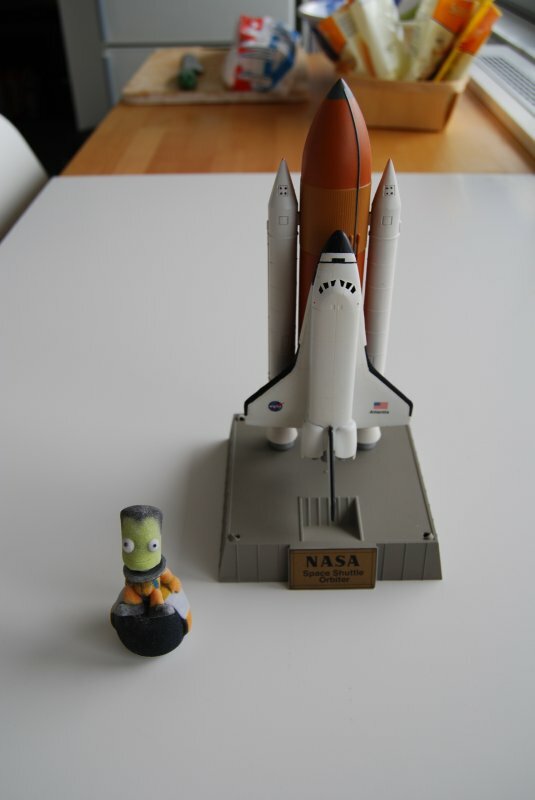 I guess I am playing Kerbal Space Program too much - I just needed to build something that travels thorugh space. The thing to build is an old Lindberg Kit - the "U.S. Moon Ship". 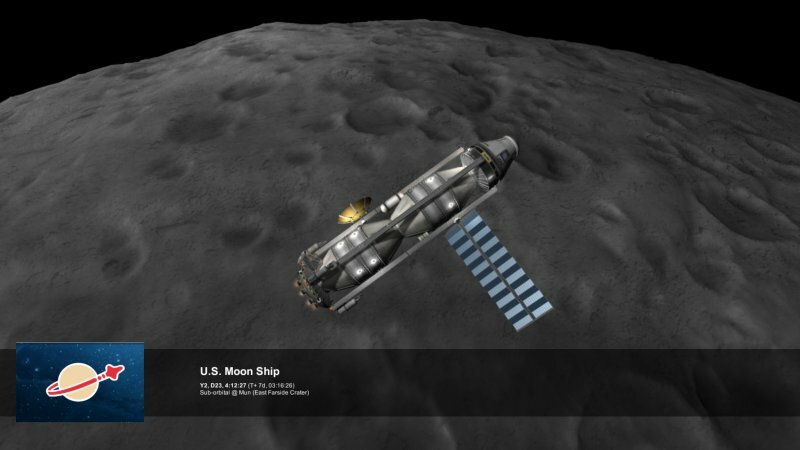 Or should I say "Mun Ship" - would be more Kerbal style. A 41 part kit, 1/96 scale and it looks so much 1950s. 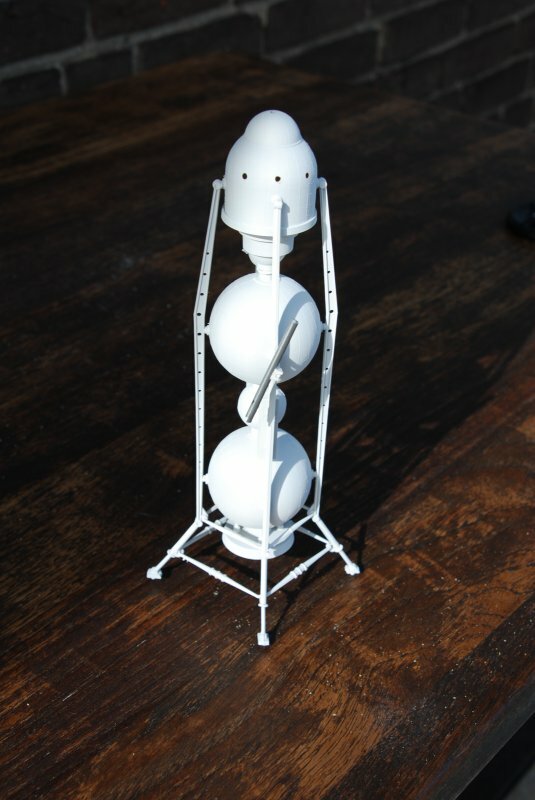 As this model only has 41 parts, everything is put together quite fast. Next will be white color. I wonder about the capsula "windows". They are made form a semi transparent red plastic and should be used unpainted. Really? Should I paint them? Silver? Black? Very cool, on both counts ! Not sure where to go with the windows....whatever you think best ! Still have no good idea how to do the windows. Anyway, its now painted in white -as it should according to the instructions. But I wonder if I should donkey a little bit more colors to make it look not so boring. Nice kit. Reminds me of the Direct Ascent lander proposals, but without panels, maybe these were shed before landing to save weight??? 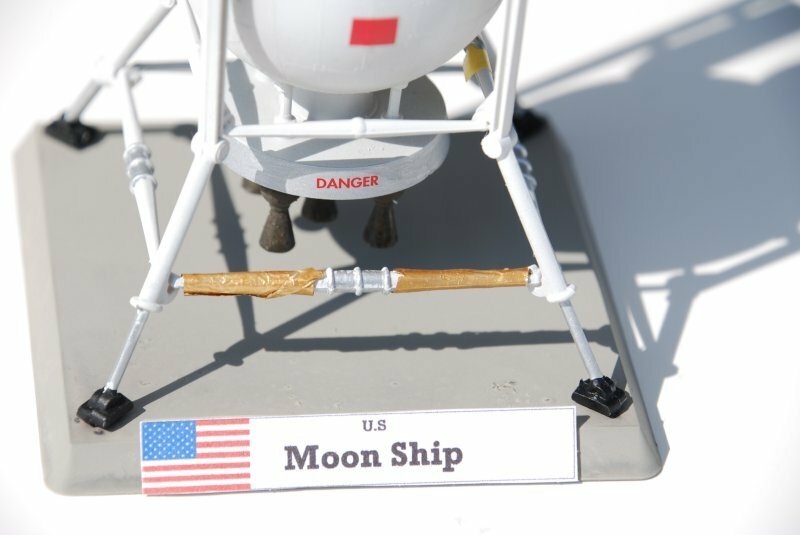 For a bit of colour, maybe add some gold foil insuation like the Lunar Module? 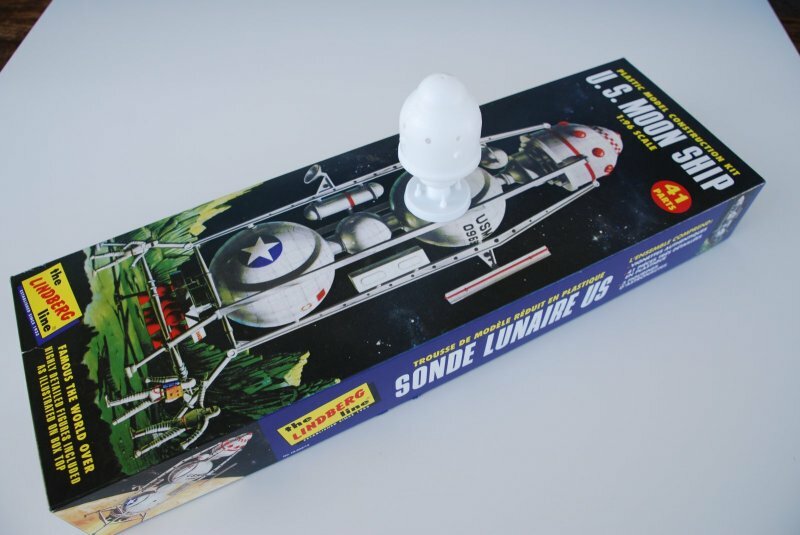 Sweet - I had that kit back in the day, as well as the Von-Braunesque rocket with a gazillion engines. 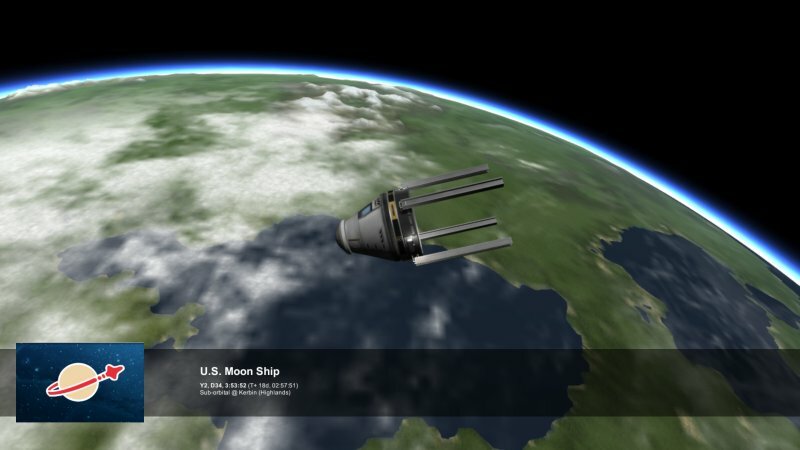 The Kerbal Space Program universe has rather kinder dimensions that the real one, which makes one-piece mun ships attractive, plus most people start with the free demo (still all I've got: PC not up to running the full game) which doesn't have docking components in it, so they get used to landing their whole mun-ship and bringing it back. 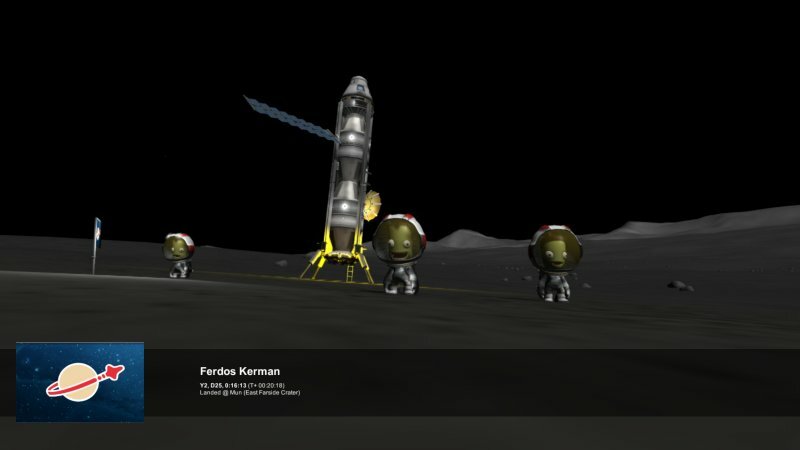 And altough I prefer military simulations, I never had such a good experience in a game as the first succesful landing on Mun. The Moon Ship has landed and all three Kerbals enjoy heir day on Mun. Well, I played a bit aorunf with gold foil. Which is just aluminium foild painted with gold colors. The foil itself looks ok, it just has to be arranged a bit nicer. Looking good so far, nice work.